FROM THE AUSTRALIAN, January 26 — There have been so many matches between Novak Djokovic and Rafa Nadal. They have played each other 52 times, over the past 13 years. Without a doubt, there have been some great ones, some fascinating ones, and on occasion, odd ones. Over the past 30 years, there have been a number of terrific matches, long matches, but none of them have confronted each other deep in the tournaments. Some have played against Novak or Rafa before, but you had to go deep, in the semis or the finals, because that is where they were. Roger Federer has, and also Andy Murray and Stan Wawrinka did, too — the Slam winners. But the very good ones — like Juan Martin del Potro and Mario Cilic — have made it once in a while, but not a huge amount. Djokovic and Federer have played each other 47 times, with Novak has 25 wins and 22 losses. That is a high results, too. Nadal owns 23 wins against Federer, and the Swiss has 15 victories. One more: Djokovic has 25 wins over Murray, and 11 losses. Obviously, Djokovic is way up there, beating the best rivalries, but while he has won 14 majors, he still has to tie, or pass them, eventually, with the 20-time Grand Slam champion Federer, and the 17-major winner Nadal. 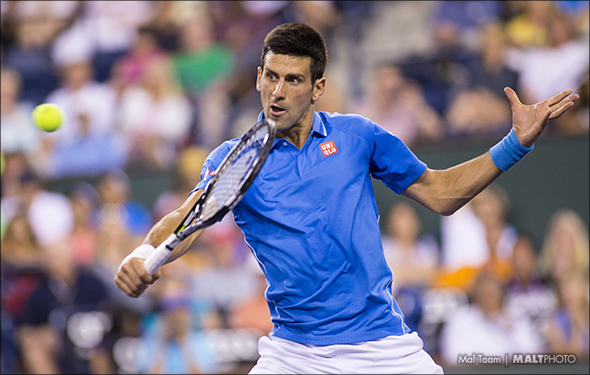 Djokovic lost plenty of matches to Nadal, but he is clearly better when on the hardcourt. The last time that the Spaniard defeated Djokovic on a hardcourt was 2013, in the US Open final. That is a long time ago now. If Nadal can take him out on Sunday night, then he will have to push himself. A lot. They know each other up and down, but in order to shove him back, he has to swing hard and physical. He has to, because as Djokovic said, he has to jump on him early. Djokovic agreed that over the years, they adjust it, and added to it. There can be bad days, but for both of them, they are amazing players. That’s why they are the best right now.